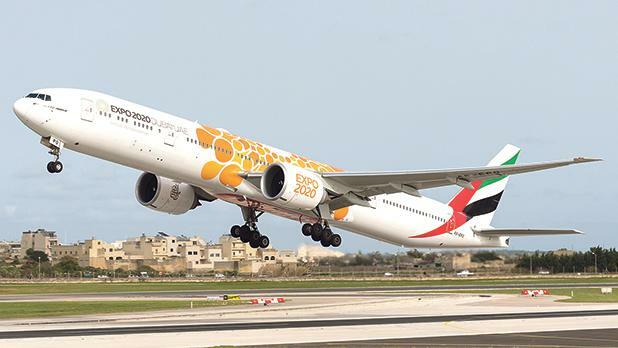 Emirates, the world’s largest international airline, is offering Maltese travellers a chance to take advantage of attractive fares and discover the cosmopolitan city of Dubai this summer. Enjoy the year-round sunshine, six fully fledged public beaches decked with the finest restaurants, world-class shopping malls, iconic landmarks and many more attractions. The offer is valid for bookings made starting today until March 27, 2019, for travel between May 3 and June 20, 2019. Economy Class passengers departing from the Malta International Airport can enjoy fares starting at €499 and Business Class passengers can enjoy fares starting at €2,545. Both fares are inclusive of fuel and all taxes. Emirates passengers across all classes can enjoy the airline’s award-winning in-flight entertainment system with 4,000 channels of the latest movies, music and programmes. Customers can also enjoy complimentary beverages and regionally inspired meals, as well as the warm hospitality of the airline’s multi-cultural cabin crew. For more information on Emirates, including how to book flights and a complete list of terms and conditions, visit emirates.com, travel agent or through the local Emirates Sales Office. Terms and conditions apply.